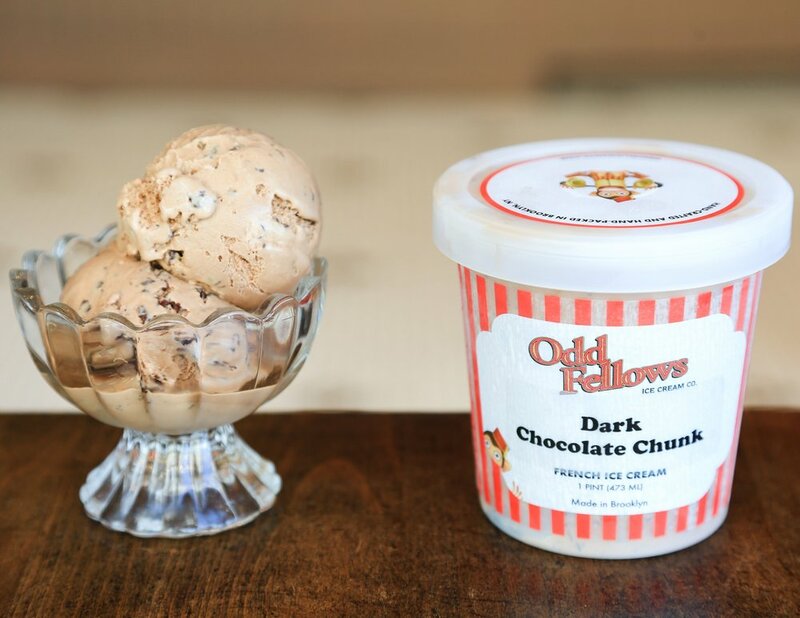 About Us — OddFellows Ice Cream Co.
OddFellows was co-founded by Sam Mason, Holiday Kumar and Mohan Kumar. "When my wife Holiday was pregnant she had three very specific cravings – (1) fried chicken, (2) coconut water, and (3) savory ice cream. None of the ice cream I was bringing home was doing it for her and I happened to be explaining this to my friend Sam [Mason] one night at his bar. A couple days later, Sam brought over some of his homemade pretzel ice cream, and she loved it. She took down the entire pint in 1 day, which is amazing for someone like her. At the time I was looking to get out of what I was doing in real estate finance and do something more entrepreneurial, more creative. So, a few days after devouring this pint of Sam’s ice cream, she asked, ‘Why don’t you talk to Sam about opening an ice cream shop?’ I said, ‘That’s a great idea.’ And I approached Sam about that over a beer. His eyes got big and he instantly said he was in. Let’s do this. That was in the winter of 2011. Our twins were born in March 2012, and we opened our first OddFellows Ice Cream Co. in Williamsburg in June of 2013. " To create the highest quality and freshest product available, we pasteurize our own ice cream base -- using locally-sourced, hormone-free and additive-free dairy -- in our Brooklyn kitchen. While more time consuming, pasteurizing on location allows us to add more nuance and depth into our ice cream flavors. The result? Distinctive, creamy, and scrumptious flavors ranging from inventive renditions of the classics to the delectably unconventional.